Why is Mars such an interesting background for a story? Perhaps because it resembles Earth a bit, becoming a believable planet for action to take place on. Perhaps because humans are close to actually going there, making it an accessible location in our minds. And perhaps because ever since War of the Worlds we’ve been a little unsure about Martians, the idea that life could exist there & that it mightn’t be friendly. Whatever the reason, a ton of sci-fi movies have taken place on Mars or on a fictional planet that is based on it. 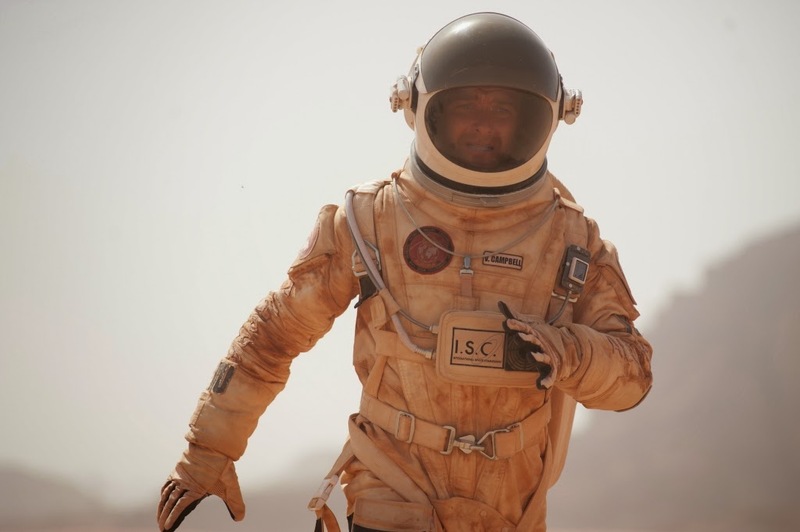 The Last Days on Mars uses our interest & fear to its advantage, creating a plot and a mood centered on the the idea that mankind can go to Mars now if we choose, but should we? After months of spaceflight and months on the surface, the Aurora team is about to leave Mars within the next few hours. Stress and hard work have taken their toll on the whole crew and they’re anxious to get home to blue skies and green grass. But a last minute discovery is about to delay their departure, perhaps forever. One of the scientists may have found what they’ve been looking for all this time; proof of life in microscopic form. When he goes back one last time to confirm the data, an accident occurs and everything changes. What was just a completed mission has now become a dangerous situation, with alien life affecting the team in a form none of them understand and in a way perhaps none of them will survive. I don’t understand the poor rating for this film. On IMDB it gets a 5.5/10 from users and a 4.6/10 from critics. What’s not to like? It’s a sci-fi movie that takes an old concept and adds a horror twist. It’s the best of both worlds for me, being a fan of both space movies and creature features. The twist did throw me off for a minute, but after I recovered I appreciated that they could blend two styles together to make one seamless story. I won’t give away the secret, but this isn’t your typical alien movie. And speaking of Alien, this film is a bit like Prometheus, but without the support story or the Hollywood budget. I liked Prometheus though, and a lot of people didn’t, so maybe I’m just a sucker for sci-fi/horror. You definitely have to be a fan of the genre in order to enjoy this movie, so I guess it’s a bit closed off in that way. But I really had a good time watching it; the story was short, quick, well-acted, classic, simple, and fun. What more could you ask for?